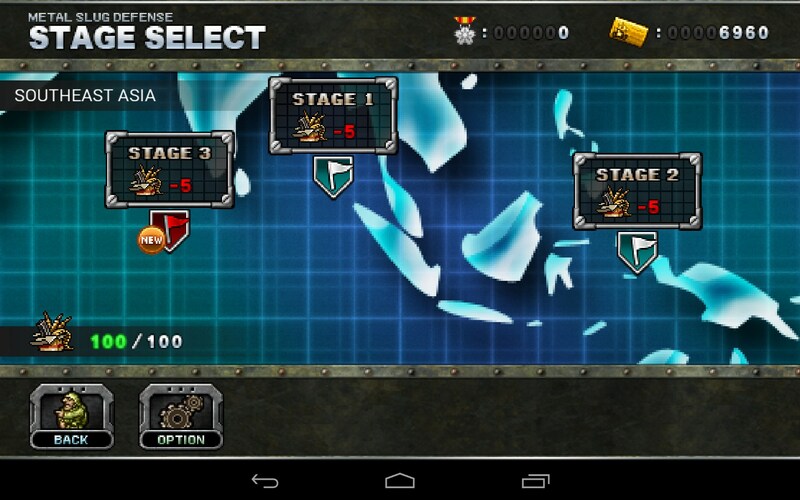 METAL SLUG DEFENSE – Games for Android 2018 – Free download. METAL SLUG DEFENSE – Classic retro combat. 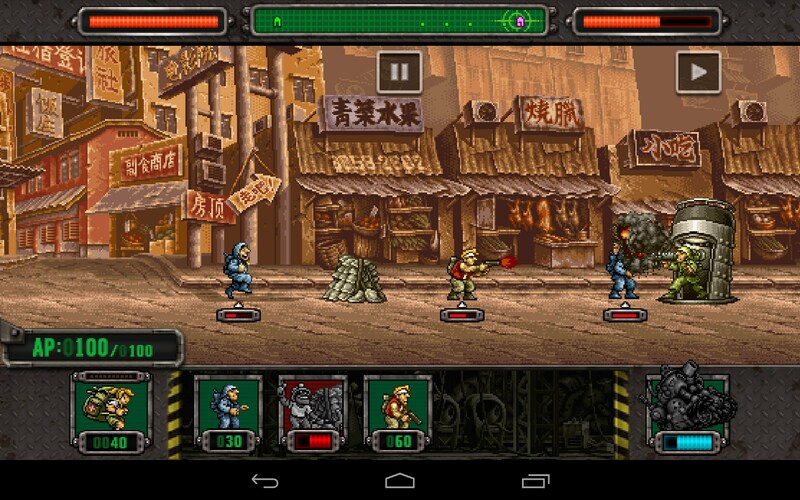 Metal Slug Defense for Android plays like a classic arcade battle game. 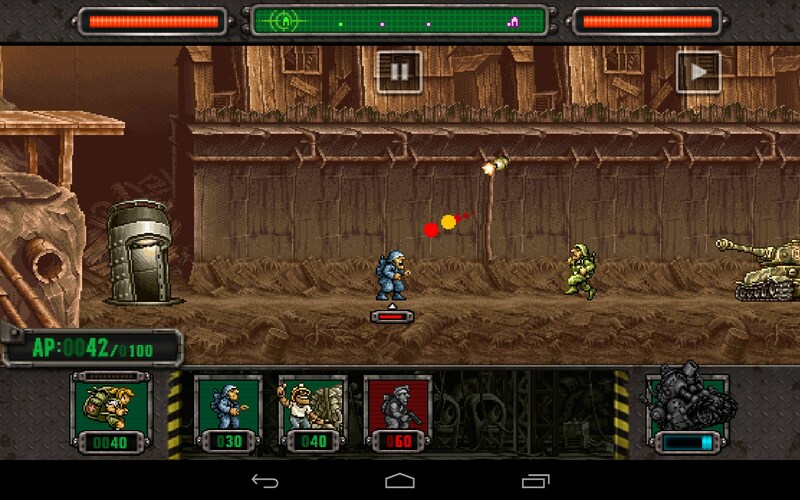 It’s you against the enemy, firing guns, tossing grenades, blowing up tanks and taking no prisoners. In other words, just another day at the office. 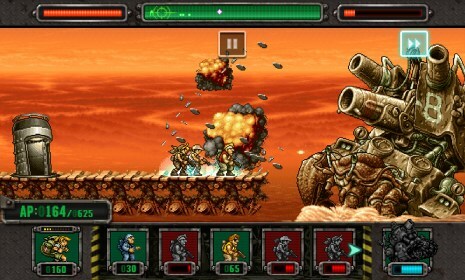 Metal Slug Defense has a simple, retro style game environment. There’s 2 hatches, one on the left one on the right. 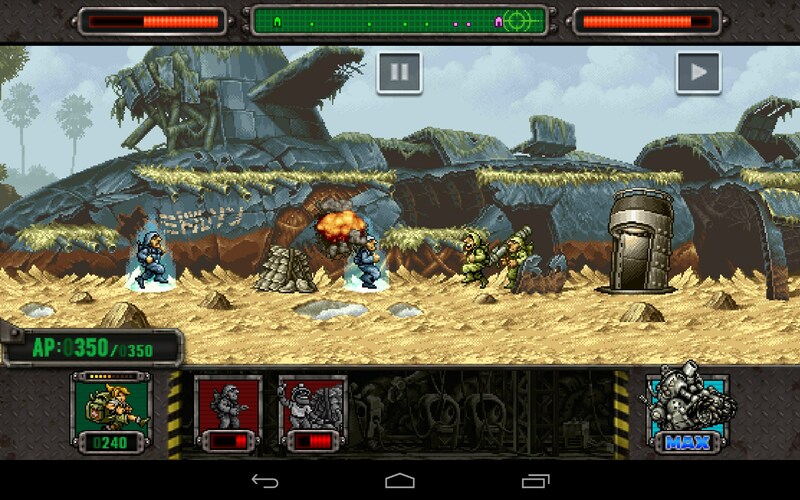 The screen scrolls left and right to expand the battleground, but this isn't a side scrolling game. It’s essentially static, with just a little movement to expand the grounds and make things interesting. 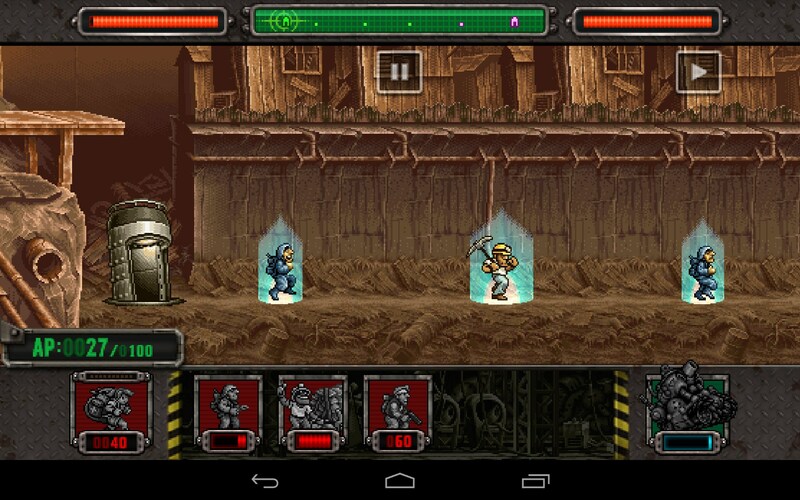 Troops come out of your opponent’s hatch automatically. Your troops are deployed manually when you have the cash on hand to pay for them. 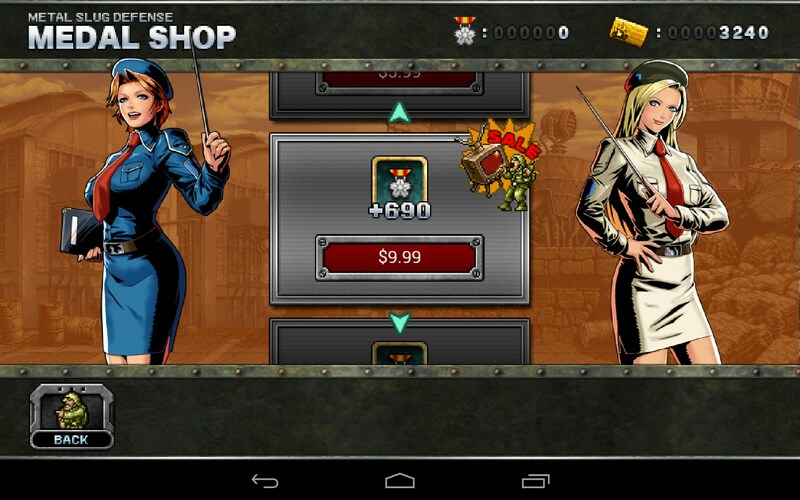 The cash for troops racks up quick though and is just part of normal play, not any sort of in app purchase or anything. (There are other upgrades that do cost, however.) 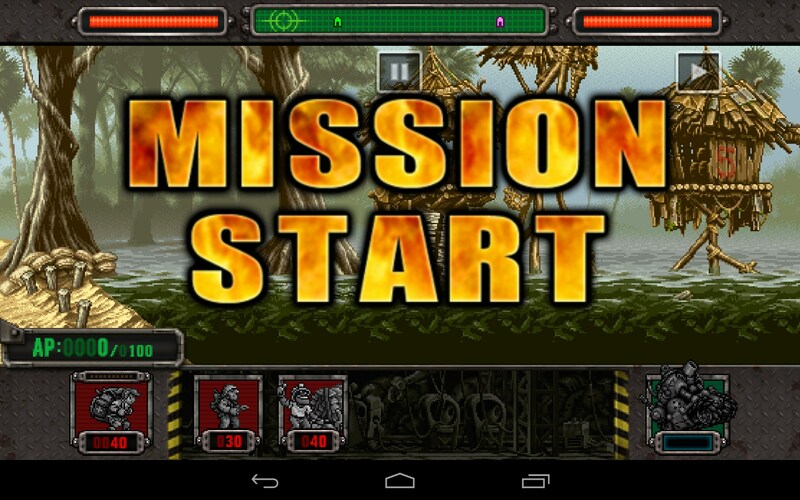 The troops fire weaponry at each other and even engage in hand to hand combat when they get close enough. The action is fast paced and just graphic enough to be cool. The team to reach their opponent’s hatch wins the round. The controls are great. 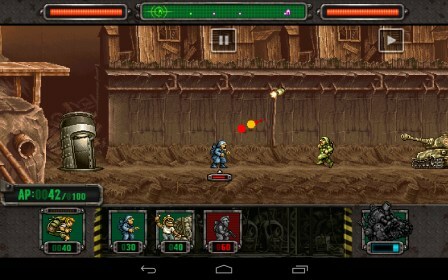 Actually very responsive and just simple taps to activate the various choices, shoot and fight. 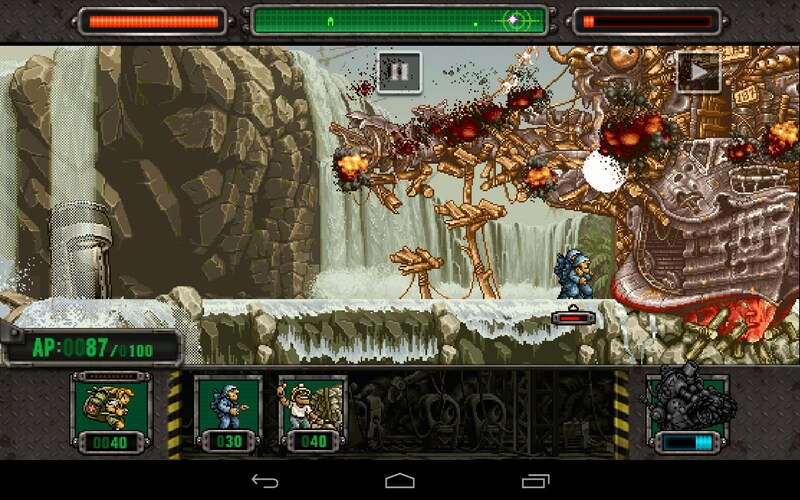 All worked well with no real glitches, however my battery did get warm, so the game is clearly stressing the hardware. But that's nothing unusual. The paid upgrades can be expensive but there’s a lot of fun to be had without them. The game is challenging without being complicated. Kids could easily handle it and have fun, while experienced players will appreciate the classic look and play. 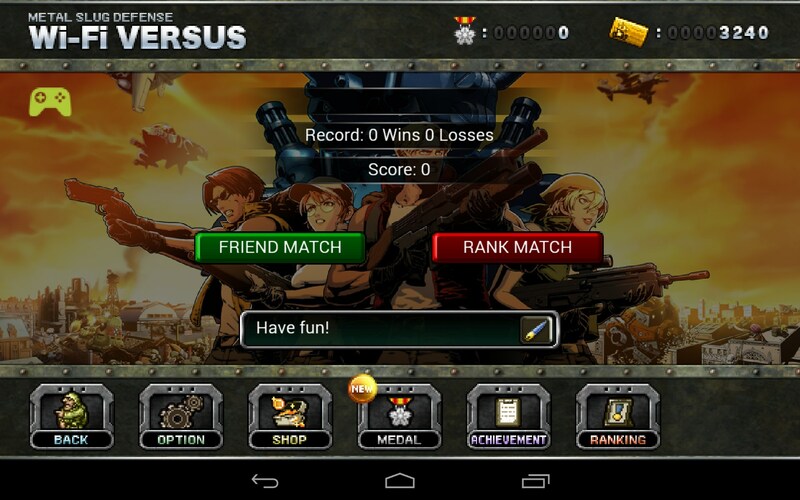 Metal Slug Defense is surprisingly captivating for how simple it is, but then, that’s usually a sign of a great game. The action is immersive without being overwhelming and the sounds appropriately accentuate the action without being overbearing. Really good game and fun too.